After "Music From The Faq" available for free download since May 2008, "Music From The Faq II" is uploaded online August 11, 2008. 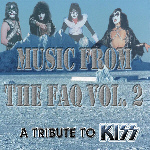 "Music From The Faq II" contains 19 tracks of creative and unique self-produced KISS and Related covers, including a previously unreleased Gene Simmons tune, spanning all different eras of the band. While the songs were not produced with the benefit of a big-budget recording studio, the creativity, quality of the material and unique performances shine nonetheless. August 31 : Greektures Of The Night out of print / looking for funds. 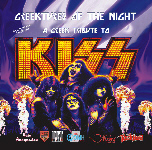 The first printing of the Greek Tribute 2CD compilation "GREEKtures Of The Night", is (nearly) out of print. The 1.500 copies of 2CD set, financed by various Greek sponsors, was not for sale, but a free-giveaway. For example the 2CD was included with the Greece Rock Hard Magazine issue of 31st of July 2008 (only in Athens issues). Since the album was listed on KISS Related Recordings, the demand is growing very strong, but the initiators of this project, does not have so many discs left to give away. For the moment general coordinator Gerasimos Kavvadas is looking for (international) sponsors to fund a second edition of "GREEKtures Of The Night". Perhaps a 2nd edition will have some small changes such as an additional song e.g. Sponsors who like to fund this project can contact G. Kavvadas at kavvadasg@yahoo.gr. German label NL Distribution has reissued a limited quantity of Voodoo X's "The Awakening" with two bonus tracks. After leaving the Plasmatics, Jean Beauvoir recorded two solo albums, and prior to Crown Of Thorns (1991), he first formed his band Voodoo X.
Voodoo X only album "The Awakening" was originally released in 1989 by CBS Records, and features 'A Lover Like You', a song co-written by Paul Stanley. The bonus tracks on the NL Distribution 2008 reissue are "Voodoo Queen (ritual mix)" and "Air That I Breathe". In Related news, Frontiers Records will release the highly anticipated CROWN OF THORNS come back album “Faith” on September 19th 2008. Thanks to Rainer Janssen (Germany) and Patrice 'Sandman' Beaudette (Canada), the KRR website is able to do a huge update on the "KISS coverversion" section. Keep any eye on the KRR's coverversion section, because more updates will follow soon. In related news, Norwegian hard rock band FAITH CIRCUS will release its self-titled debut album this year via Kivel Records. Among the 11 tracks set to appear on the album is a cover of the Eric Carr/Bruce Kulick/Adam Mitchell composition "Can You Feel It", which has previously only been released in demo form on Eric Carr's "Rockology" album. For the moment a Rough mix of "Can You Feel It" streams at Faith Circus MySpage page. (www.myspace.com/faithcircus). Laura Nyro's 1977 "Nested" album (which features some guitars by Vinnie Vincent) will be reissued in Japan in mini-LP style CD format on September 24 by Sony Music Entertainment (SICP-1958). The Japanese CD reissue will contain two bonus live tracks. For those who are interested, Miguel Lomlomdjian did a review about the KRR website as well as an interview with me, which can be found at www.kissteriatoo.wordpress.com. August 20 : Only Bruce Kulick on "Metal Christmas" album, not Ace ..
As previously reported (August 13), Eagle Records has announced that they will release a Christmas album named “Metal Xmas” , which will feature some of the biggest names in heavy metal music taking part with the following (new) tracklisting confirmed: click here for full album details. It's due out October 13th. For this particular release Ace Frehley was considered to play and sing on "Grandma Got Ran Over By a Reindeer", but because of issues with scheduling times to record he didn't appear on it. Bruce Kulick plays guitar on the tracks "We Wish You A Merry Xmas" and " Rockin’ Around the Xmas Tree". 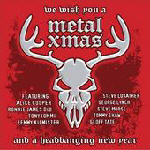 Eagle Records has announced that they will release a Christmas album named “Metal Christmas” , which will feature some of the biggest names in heavy metal music taking part with the following tracklisting confirmed: click here for full album details. It's due out October 13th. 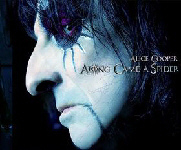 Both Ace Frehley and Bruce Kulick will be on the album, which will be released in late fall by Eagle Records. Ace Frehley is singing leads and playing the guitar on a track called "Grandma Got Ran Over By A Reindeer". Bruce Kulick plays guitar on a track called "Rocking Round The Xmas Tree’". SplitScreen Entertainment has announced the late addition of a bonus track to its upcoming tribute album "KISS MY ANKH: A Tribute To Vinnie Vincent." Rock & roll comic C.C. Banana, known for his outrageous interviews with rockers and other celebrities, has written a new song parody exclusively for this project. The song is a comedic take on the Gene Simmons/Vinnie Vincent classic "Unholy," rewritten as a roast of Danger Danger vocalist Ted Poley. Despite its humorous overtones, the track is an appropriately heavy recreation of the Kiss original, featuring a guitar solo by Chris Caffery (Savatage, Trans-Siberian Orchestra), guitars and bass by Paul LaPlaca (Zandelle, Z02, Chris Caffery solo band), drums by Dennis Leeflang (Sun Caged, Epica, Bumblefoot solo band) and background vocals by Kelli McCloud (Queen of the Reich) and Vic Rivera (AdrianGale, Crunch, Poley/Rivera). A sample of the parody is now available at the official "KISS MY ANKH" MySpace page, along with samples of all other songs on the tribute. Below are statements from C.C. Banana and Ted Poley himself, explaining the unlikely series of events that led to the inclusion of a Ted Poley tribute song on a Vinnie Vincent tribute album. Ted Poley: "In 1992, Danger Danger was opening for Kiss on the UK leg of the Revenge Tour. One night after our set I was backstage walking down the corridor toward our dressing room, when suddenly Paul Stanley entered from the other end! Paul has always been one of my heroes and it was a tremendous honor to be out on tour with him and Kiss. When I saw him approaching, I really wanted to say hello and introduce myself... but I got starstruck and lost my nerve! So I ended up just looking down at my shoes and walking past without saying anything. But when I got to the other end of the hallway, I heard Paul belting out my name at the top of his lungs... to the tune of their new single "Unholy!" The words and melody just fit perfectly. "Ted Poh-laaaaayyyyy!" I don't care if this sounds lame, but that was one of the greatest moments of my life!" C.C. Banana: "Immediately after I heard Ted's story, I knew I had to write the song parody! Even though he is known for being a fairly levelheaded guy, I thought it would be funny to paint a picture of a Ted Poley whose rock star ego is completely out of control. A man whose sense of self-importance became overinflated at the peak of his fame and kept right on growing. In other words, what if Ted Poley were more like Gene Simmons, the man who sang "Unholy" in the first place? That, my friends, is the circle of life." "KISS MY ANKH: A Tribute To Vinnie Vincent" became available for pre-order in honor of Vinnie Vincent's birthday on August 6th and is scheduled for release on August 27th. Further details can be found at the SplitScreen Entertainment website. 1977 "Rock ‘N Roll", the debut album from Play It Again Records Recording Artists 1977 is now available at all of these fine locations. If you would like to buy the album can follow the links to either CD Baby! or DiGSTATION. 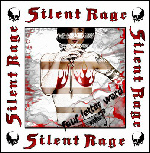 Buy the CD @ www.cdbaby.com. Download the CD @ www.digstation.com. Read a review of 1977 "Rock 'n Roll" at The Ron Blog. 1977's "Rock 'N Roll" is also available for purchase via Snocap download at the 1977 band website and their MySpace page. 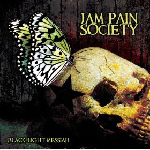 The coolest KISS Related Release for this year so far comes from Raleigh, North Carolina based band JAM PAIN SOCIETY who just have released their album "Black Light Messiah" on Locomotive Records (Spain). The song "The Ride" features Ace Frehley playing his lead guitar all over the track, the real ACE way !!!!!! For the moment you can hear "The Ride" at Jam Pain Society MySpace page. The US release is scheduled for August 12. Jam Pain Society is a potent blend of hard rock, dance, metal, industrial, funk, and pop. Aggressive at times, melodic at others, a combination of the two extremes most often, Jam Pain Society is about heavy guitar riffs, huge hooks, and soulful, impassioned vocals. The bands' members are strong believers that an emotionally charged, over-the-top live show is essential in getting the Jam Pain Society trip across, and they deliver big. In honor of Vinnie Vincent's birthday on August 6th, SplitScreen Entertainment has opened up pre-orders for its upcoming tribute album "KISS MY ANKH: A Tribute To Vinnie Vincent." It has also revealed the album's full track listing and complete artist roster. Scheduled for release on August 27th, the album is now available for pre-order via the SplitScreen Entertainment website. 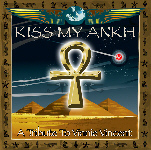 Additionally, song samples of all tracks are now available at the official KISS MY ANKH MySpace page. All songs on the tribute were written or co-written by Vinnie Vincent and originally appeared on albums by Kiss and the Vinnie Vincent Invasion. "KISS MY ANKH" features a mixture of veteran and rising talent, united by a common passion for the source material. The tribute kicks off in grand fashion with a retro take on "Killer" by YouTube sensation DoubleVirgo, who made headlines earlier this year at KissOnline with his vintage-flavored interpretation of another overlooked Kiss nugget. Next up is a soaring rendition of "I Still Love You" by New York metal masters Gods of Fire, who add their distinct bombastic flair to the familiar ballad. This is followed by Kiss concert staple "Lick It Up," rendered with flash and finesse by the female-fronted Future 86, known for their long-running series of TV spots for media giant Cablevision. A soulful acoustic version of "A Million To One" follows by the one-man band of Steve Brown, founding Trixter guitarist and current frontman of modern rock outfit Stereo Fallout. The album kicks into high gear with the explosive Vinnie Vincent Invasion anthem "Boyz Are Gonna Rock" by Mike Weeks (guitarist on the most recent solo offering from original Invasion vocalist Robert Fleischman), alongside former Nitro bassist T.J. Racer and drummer Andre LaBelle, who himself played drums on Vinnie Vincent's fabled yet unreleased third album, "Guitars From Hell." "Carnival of Souls" comic book creator Jazan Wild tears it up with a raw and raspy version of "Back on the Streets," a song recorded not only by Vinnie Vincent but also demoed by Frehley's Comet and even Kiss itself. The Invasion is further represented with a new rendition of "That Time of Year," a collaboration between former Adler's Appetite vocalist Sheldon Tarsha, former Alice Cooper guitarist Ryan Roxie, former Altaria bassist Marko Pukkila and current White Lion drummer Troy Patrick Farrell. Also featured is "Love Kills," the theme song from "A Nightmare on Elm Street 4," hauntingly resurrected by Queen of the Reich vocalist Kelli McCloud and Vic Rivera of AdrianGale, Crunch and Poley/Rivera fame. The disc races toward the finish line with a bold and brutal death metal take on the evil Kiss classic "Unholy" by Curse God and Die, a project featuring Paul LaPlaca of the Chris Caffery solo band and Bumblefoot drummer Dennis Leeflang. The tribute comes to a dramatic close with a unique industrial/electronic interpretation of "I Just Wanna" by The Dead Zoo Keepers, featuring Kurt Monson and Dan McCafferty of the Rocklahoma-reunited Wild August with vocals by Danny Stanton, president of Coallier Entertainment and representative for such acts as Twisted Sister and Lita Ford. Though Vinnie Vincent himself has not released any new material in over a decade, "KISS MY ANKH" will pay tribute to the undeniable musical legacy of the former Kiss guitarist. 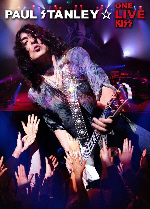 Vinnie's compositions are widely regarded as a highlight of the Kiss catalog and remain a staple of the live Kiss set list. 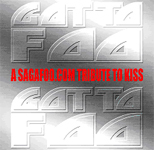 Included on the tribute will be selections from the three Kiss albums to which Vinnie contributed, as well as the two albums he released with the Vinnie Vincent Invasion. Further details and pre-order information can be found at the SplitScreen Entertainment website.